April 22 to 28 – 25% Off Wraptor Tackle Roll. April 22 to 28 – 40% Off Blackstrap Industries. Omnia Fishing is giving MNKFA members a 25% discount on their first order! You can use any lures you purchase from them to fish in the season long Omnia Fishing Bass and Pike tournaments. Winner of each tournament gets an Omnia $300 gift card. Take advantage of these generous offers from the top names in kayak fishing! Grizzly Coolers are efficient bear tested coolers made for hunting, camping, fishing, tailgating, and more. Shop our coolers and cooler accessories. Save on great fishing products and show our appreciation! At Hermsen Custom Lures, they create lures of all different shapes, sizes, styles, and colors. They’re actively creating and testing new designs to get you the hottest lure possible. If there’s a design you’d like, but don’t see it, let them know and they can make it happen! The QUICK CLEAT Model 217 is ideal kayak accessory for securing anchor lines, bait buckets, stringers, or other loads. Use with your anchor trolley system for a no-knot tie-off. The rope will stay locked in the QUICK CLEAT even when pulling in slack line, a great advantage versus other cleats. Ski, Snowboard & Outdoor Facemasks for protection from the elements. 100% USA made warmth, comfort and performance since 2008. Est. Bend Oregon. Robohawk provides you with superior hunting and fishing products. We protect and secure your gear, so you can focus on your passion. Top quality rod, paddle, tool and pedal drive leashes. Family owned fishing professionals. Vexan works with America’s best Anglers to design the world’s finest fishing tackle. Vexan uses cutting edge technology and innovation to lead the way in developing the highest quality premium fishing equipment available. The ultimate kayak anchoring system! Great way to save on the products you love and show Anchor Wizard our appreciation! Fish just can’t stay off the sauce! What is JB’s Fish Sauce? 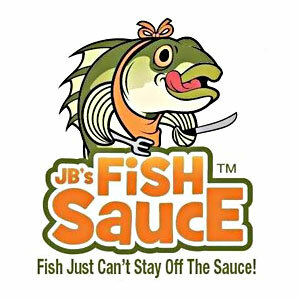 JB’s Fish Sauce is the only custom made fish attractant where all ingredients are blended, poured, and packaged by hand. JB’s is offered in 5 different scents and can be applied 4 different ways, meeting the needs and wants of all anglers’ preferences. Anise, Baitfish, Coffee, Crawfish, and Garlic can be applied using a mist, gel, paste, or solid stick style. All products are full of real crude fish oils making your baits smell AND taste like the real thing. ugo is the FIRST and ONLY, small profile waterproof gear bag featuring the TIZIP® waterproof zipper, built with thermoplastic polyurethane (TPU) fabric. This little pack not only looks good it is built to last! 25% off all black and orange case purchases, use promo code at checkout: UGO! They carry braided fishing line, tungsten weights and sinkers, rod socks and other high quality fishing tackle and supplies. Must purchase a minimum of 2 items. This code is good for everything on our site except specials and closeout bin categories. Please also note this code may become invalid during certain sales but will be valid during our online specials this week. 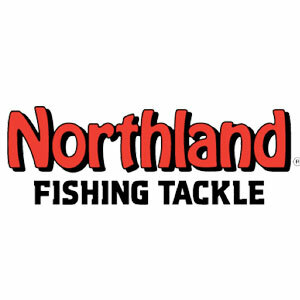 Great way to save on the products you love and show Northland Fishing Tackle our appreciation! 4. 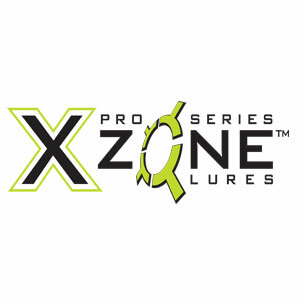 Discount expires at a time determined by XZoneLures. Use it now. 4. 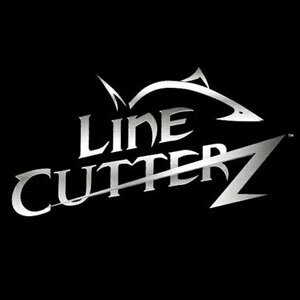 Discount expires at a time determined by Line Cutterz. Use it now. They carry braided fishing line, tungsten weights and sinkers, rod socks and other high quality fishing tackle and supplies. Must purchase a minimum of 2 items. The code will give you 25% off your entire order from their website from now until 12/31/19. It cannot be combined with other discounts (i.e. rod sock promos) and is limited to one use per customer. Great way to save on the products you love and show Reaction Tackle our appreciation! 4. Discount expires. Onyx will determine. Use it now. This is a great way to save on Onyx products and show them our appreciation! Whether you are tournament fisherman, a weekend warrior or an occasional angler, The Rod Glove products protect your gear and keep your rods and reels from tangling.The Rod Glove is proud to supply the Fishing Industry with a 100% North American made fishing rod covers. Protect the investment that you have made in your fishing rods, making them last longer and keep them looking great!! Bass Snax Custom Baits is a soft plastic bait company established in northeastern PA that produces a line of baits made for fishermen by fishermen. These baits provide a unique blend of softness and durability. Made using a select mix of plastic, salt, worm oil and scents. We are able to produce baits with life-like feel and action. Our baits are designed to catch the fish’s eye instead of the angler’s eye. Tournament tested and proven to help you get more bites. Funk buster spinner baits was created with the weekend angler in mind. Our mission is to provide you with a quality spinner bait on a weekend anglers budget! Tell us what is in YOUR mind and we can create from a wide selection of blades to countless colors for skirts!! Since 2002 our goal has been to provide anglers with a reliable resource for tournament proven bass jigs that will help you catch more fish. You can be assured when purchasing our Made in the U.S.A. jigs from All-Terrain Tackle you are getting a quality product that you can count on to do its part. Through the years, All-Terrain jigs have won B.A.S.S tournaments, FLW tournaments and hundreds of local and other national tourneys. 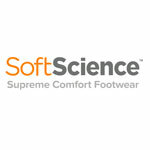 SoftScience sells supreme comfort footwear. They make water shoes that are comfortable and perfect for kayakers.